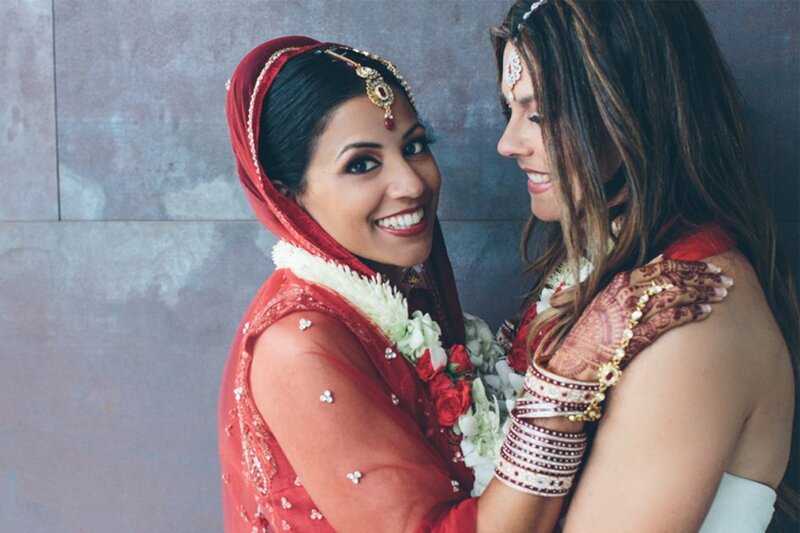 It was love at first sight for Shannon and Seema who met each other for the first time at a fitness class six years ago in the US. 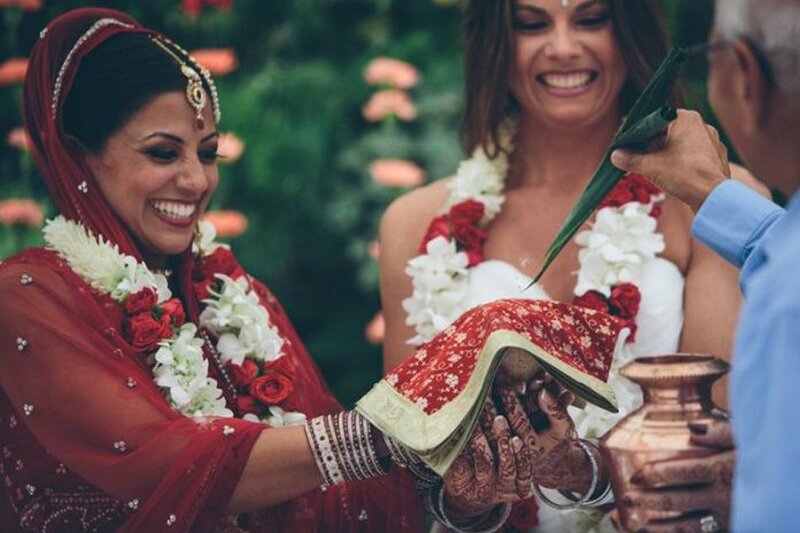 Now, they have decided to tie the knot in a spectacular wedding.This was the first Indian lesbian wedding to have taken place in America. The vibrant and intimate pictures of the wedding show they both are in deeply love. Shannon said that, for her at least, it was love at first sight when they first met at a boot camp fitness class which she was teaching. In keeping with Hindu tradition, Seema was carried into her wedding on a Doli by her family.Their traditional Indian ceremony featured many ancient traditions, including a traditional interpretation of ‘tying the knot’. Shannon and Seema also exchanged rings.